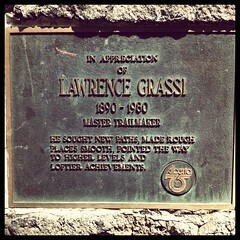 Age: great for all ages, depending on which trail you choose. 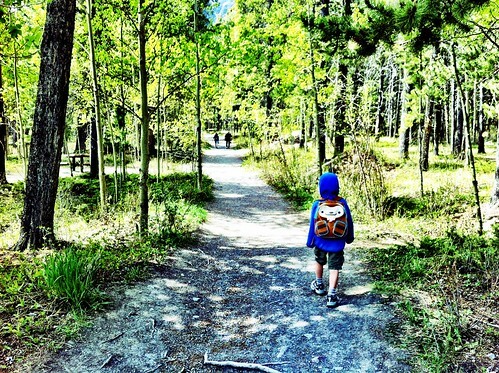 When looking for a hike to do with young children in the Rockies, one name will always pop to the top of searches; Grassi Lakes Trail. 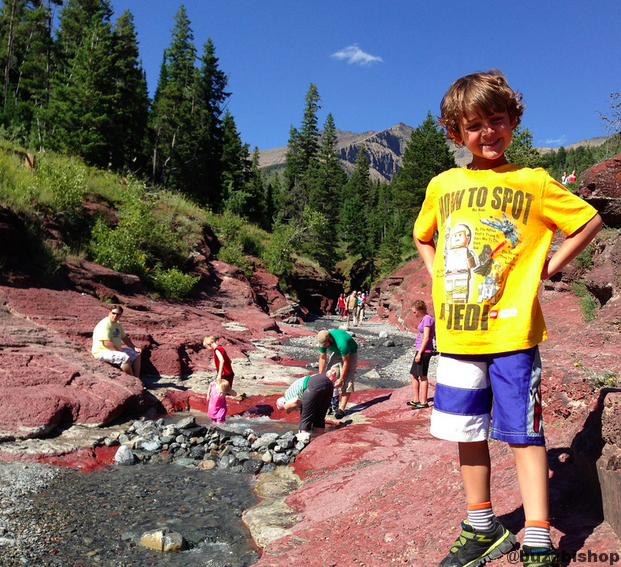 This is an absolute perfect hike for young families with children of all ages. There are two options for this 3km loop trail that can have you scrambling up steep rocky switchbacks, or sauntering up a gradual slope that’s more of a logging road. As with all things in life, the more challenging path comes with the greater rewards. The views from the switchbacked trail are breathtaking, and before you hit the views, the trail meanders on a soft forest floor. 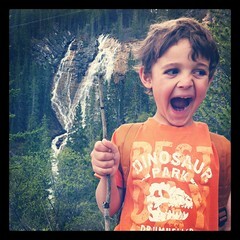 My 5 yr old loved the chance to be a mountaineer and was perfectly fine on the more difficult trail. While I don’t think my younger son would have like it, others have taken their 2 yr old on this path. 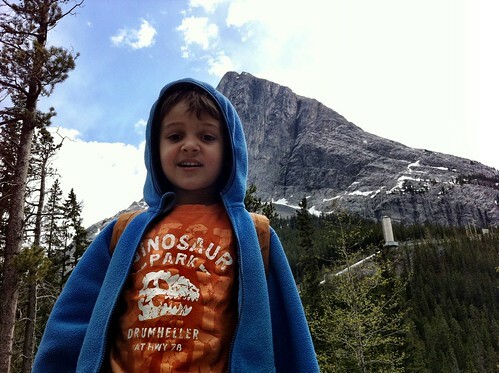 If you have a stroller kid, or younger ones that aren’t into hiking, the easy route is just fine. 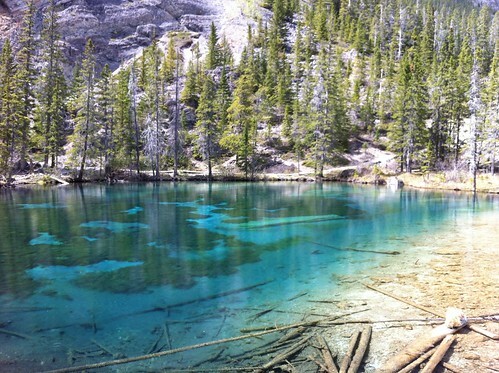 When you get to the top of the trail, you can linger on the shores of the Grassi Lakes, two beautiful and colourful lakes named for Lawrence Grassi. 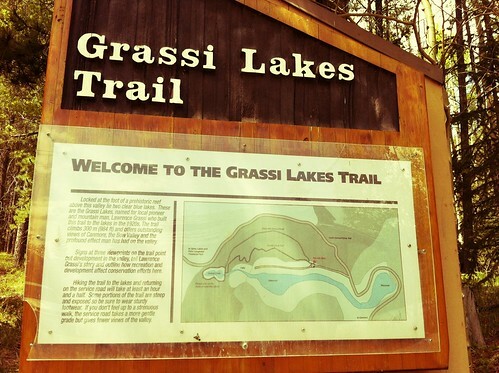 After retiring, Grassi, a former coal miner and railway worker, spent his days clearing paths, trails, and campgrounds to his favourite spots. The Grassi Lakes Trail was one of those such pathways. Sometimes he would work alone with just an axe, and spade. The area is a popular family, and tourist trail, as well as with rock climbers. The cliffs on the side of the upper lake dance with ropes as climbers belay up and down the face. 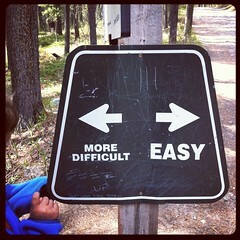 I’d recommend the easy path for the return trip from Grassi Lakes. The more difficult trail can be steep and slippery in parts, and runs along a cliff – not the best combination for descending, especially with kids. The 3.3km loop took us 90 minutes to complete including lots of lingering on the way up, and a long snack break at the top. 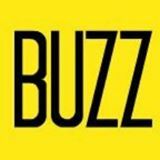 Thanks for the link to my blog Buzz!